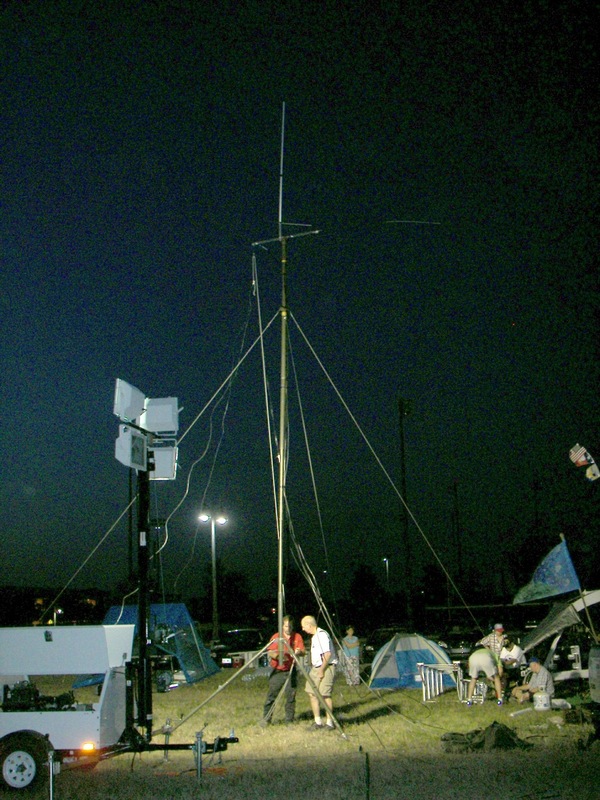 The setup is impressive considering the multiple bands accommodated with one mast. a look at the installation. 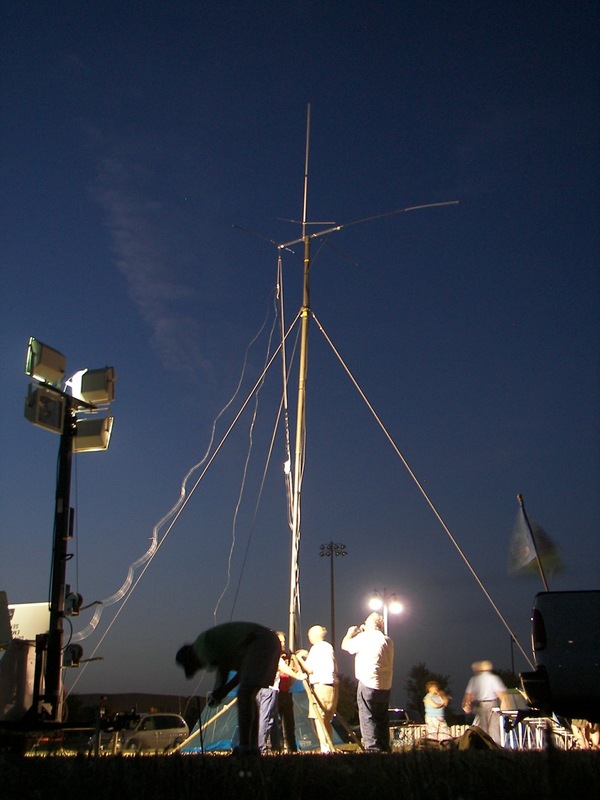 Once the dipole (inverted V) was staked, the mast was straighter with the slight extra load. Some pictures taken with no flash. the camera has to be very steady. This one is not the best..
"hamsticks" for each band protrude at every angle. 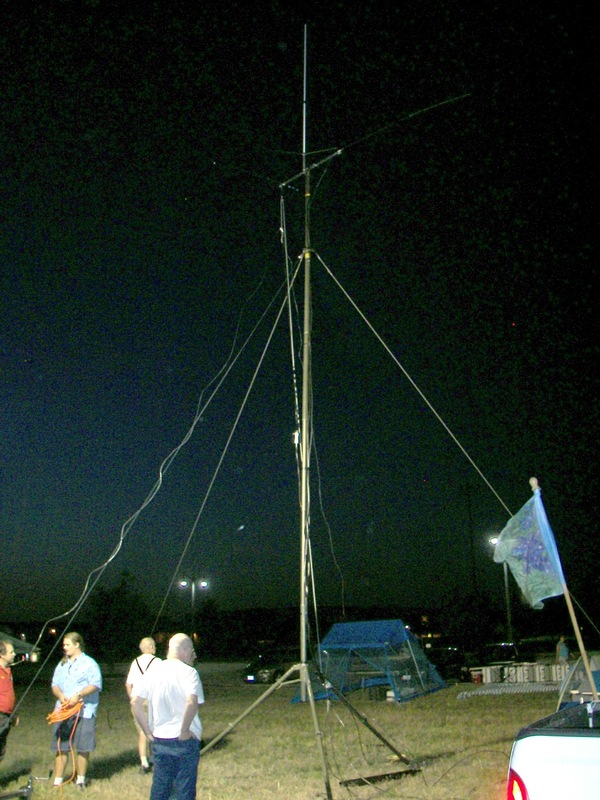 Once the mast was up, the dipole was hoisted to the spar, making necessary some adjustments to the guy cables. 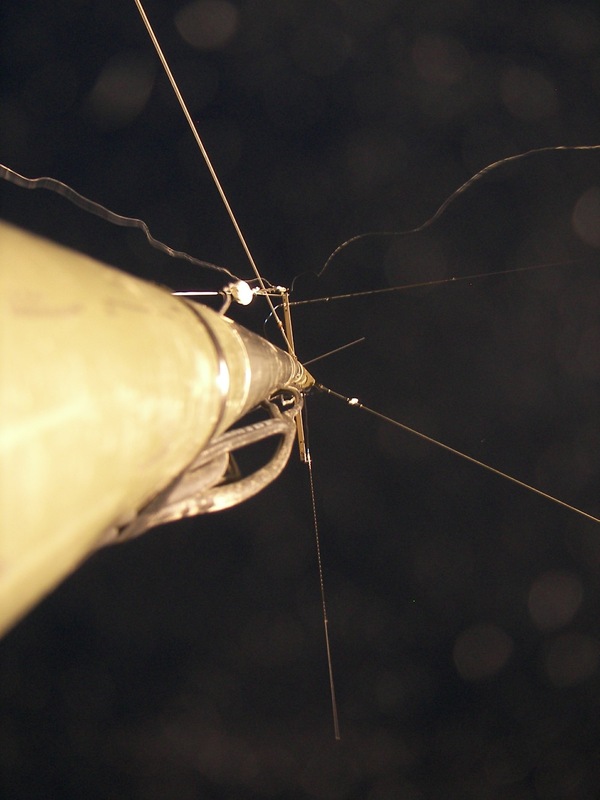 a look at the base of the mast. 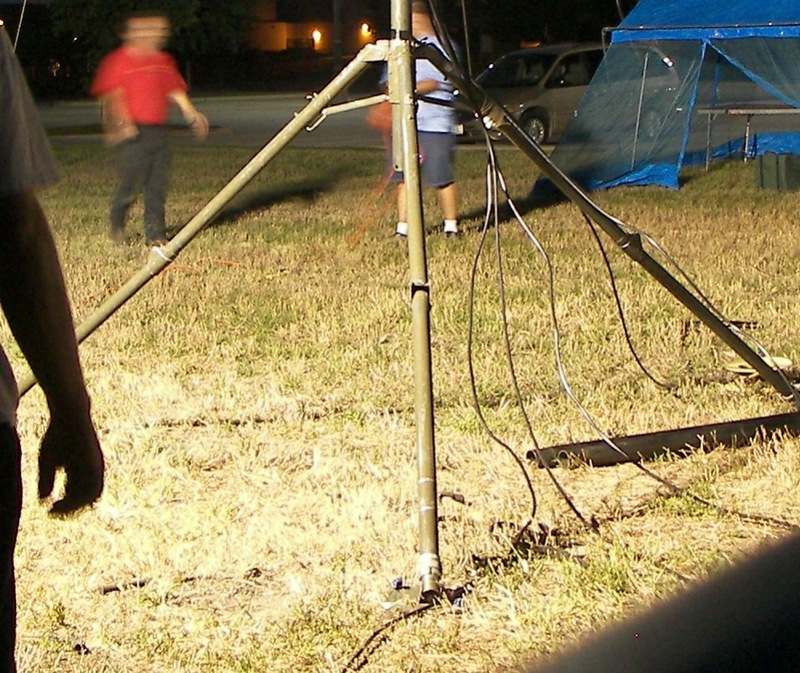 The sections are connected to the one above and pushed up through the tripod until the right height is reached. Guy ring at lower end of top section. 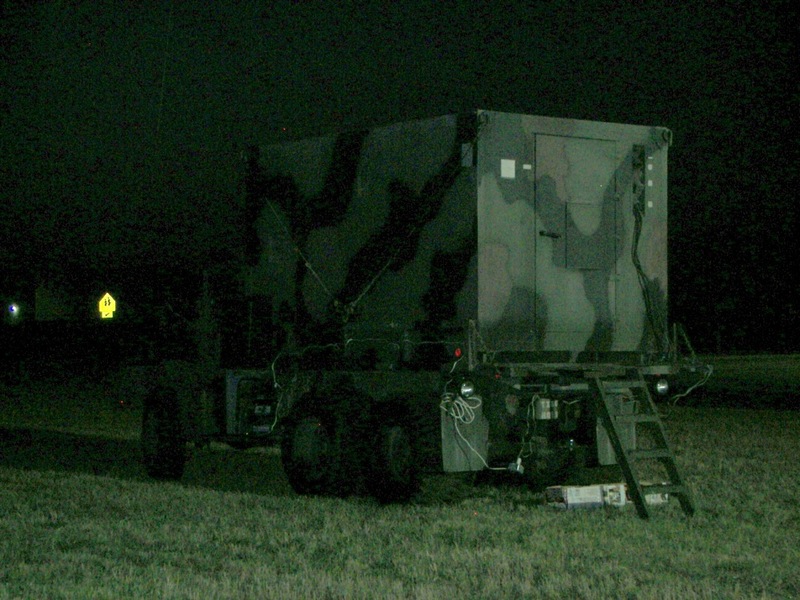 Texas State Guard C4I truck. I believe this self contained system made the farthest contact at >2000 miles. 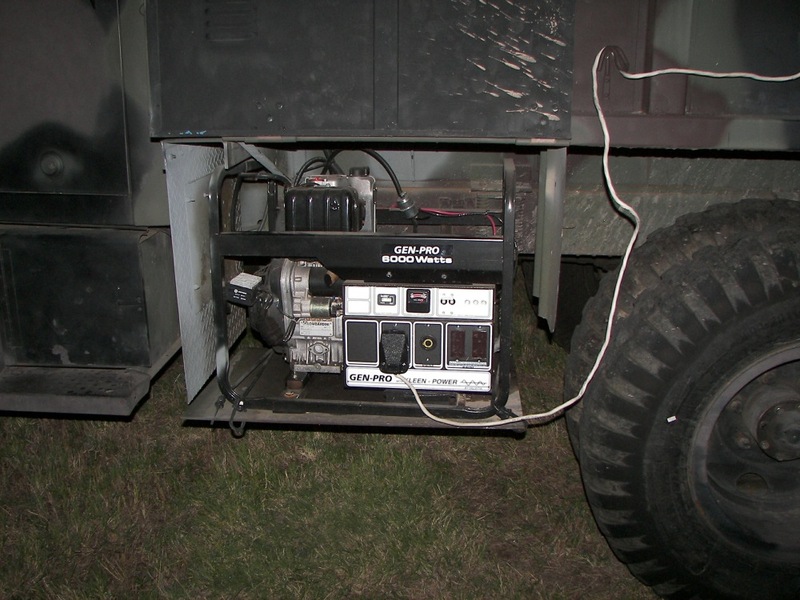 Truck uses a Gillette GPNDL-60E generator that feeds from the truck's fuel tank. I only took a few pictures, but here's the story. We set up a pavillion and put up some banners to help us recruit. I took the M35 communications truck out and set it up, hoping to attract interested parties. 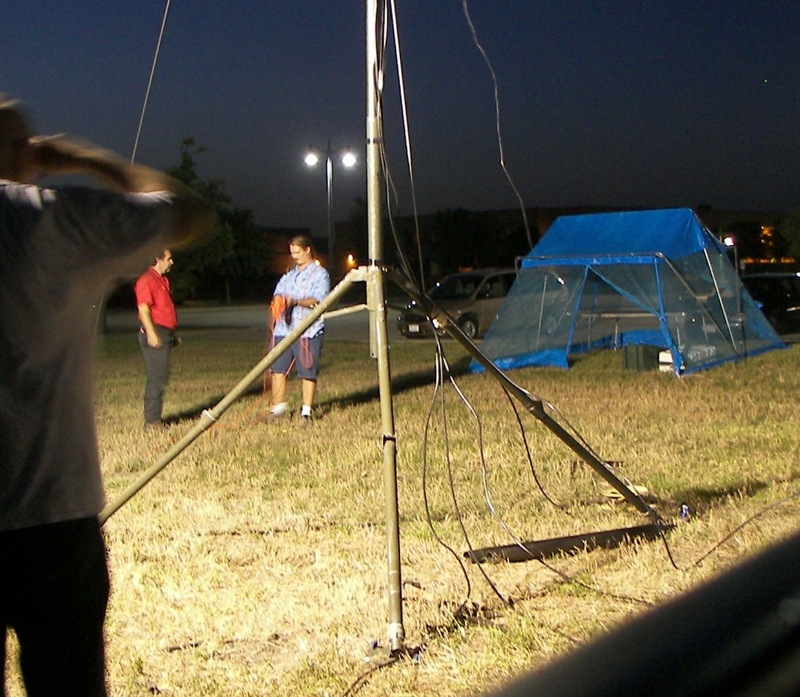 It all began when the LAARK invited the TXSG to do some recruiting and have some fun with amateur radio. The event turned out great. The weather was hot, about 100 degrees, but the wind was blowing strongly and that helped keep everyone in a tolerable condition. 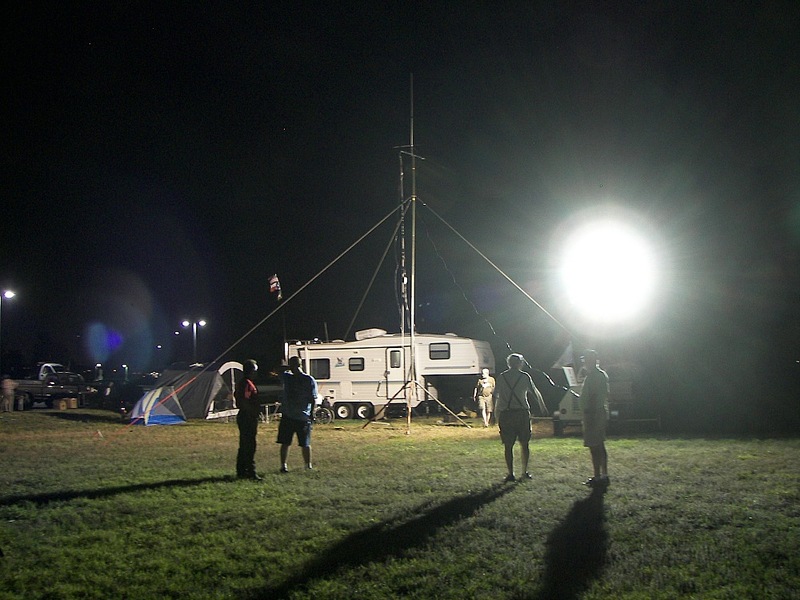 The event began with arrival on site Friday June 27. 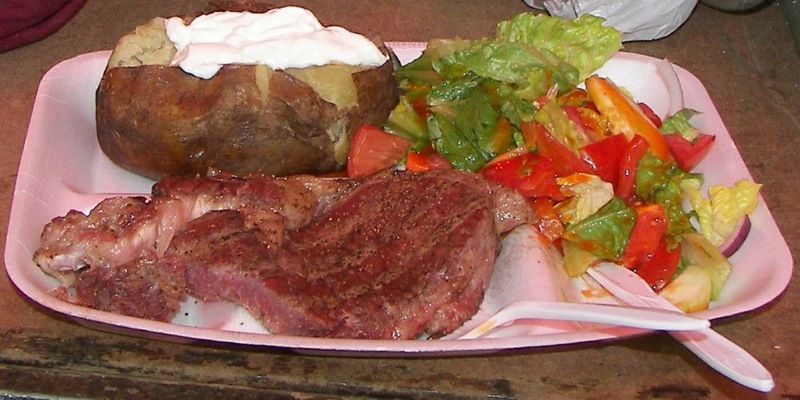 Dinner was ribeye steak with potato and salad. 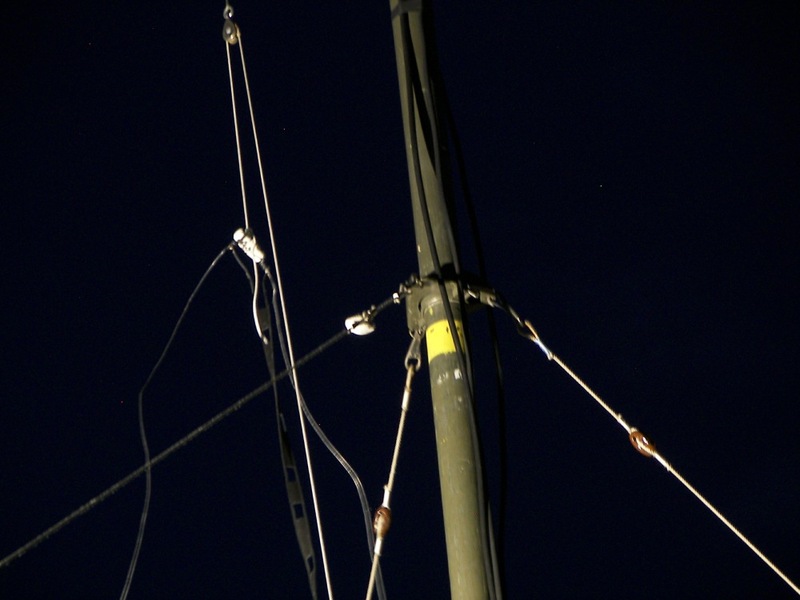 Once the weather cooled off in the evening, the setup of the main antennas for the LAARK began. A military mast system was used to hold antennas for various ham bands LAARK would operate in. 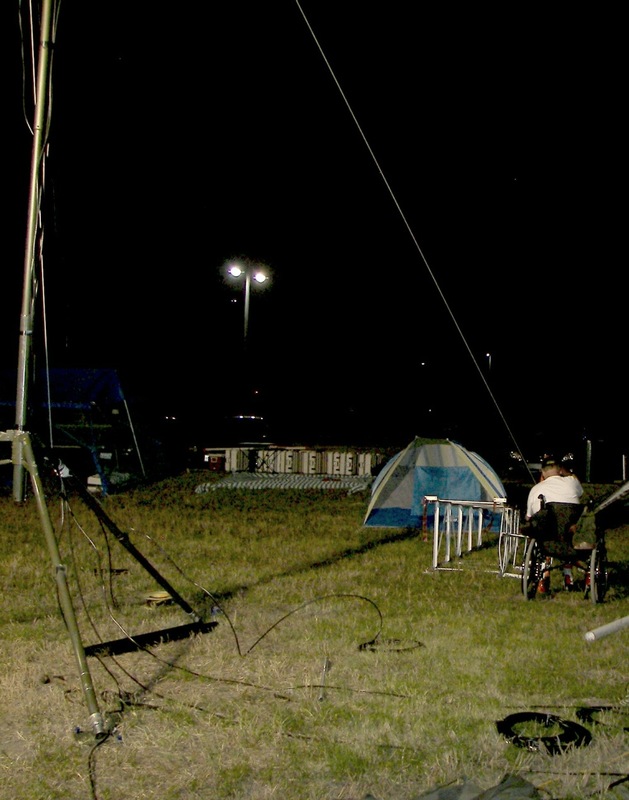 During the event, many people stopped by including scouts working to earn radio merit badges. The TXSG C4I (comunications) truck was located about 50FT away from the main area due to the noise from the self contained diesel generator. The set is not any noisier than any other, but the hams were not using headsets, so it was desired to minimize the noise in the area. The Gillette generator worked perfectly and there were no problems with any onboard systems in the truck. 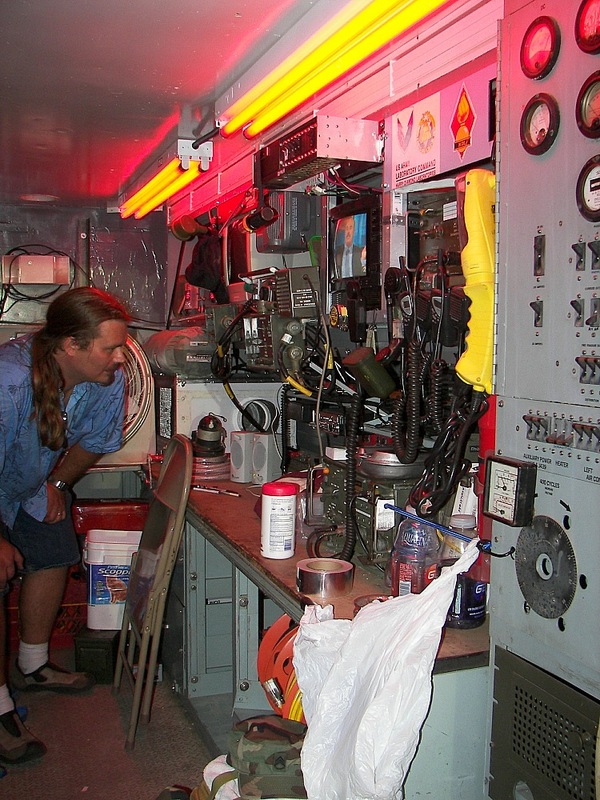 Both air conditioners were used for a total of 20,000BTU and all the radio equipment was powered up. Friday afternoon at 13:20 CST, SSG Patrick Jankowiak KD5OEI, operating the C4I truck's Icom IC706 100 watt SSB tranceiver, AT-4 tuner, and a 18FT bumper-mounted military whip antenna, was able to make a contact on 14.286 MHz USB with Rick AA1KS. Rick was located in the Maine-Newfoundland corridor and mentioned lighthouses UAS459, CAN326, and CAN157. The distance was over 2000 miles. 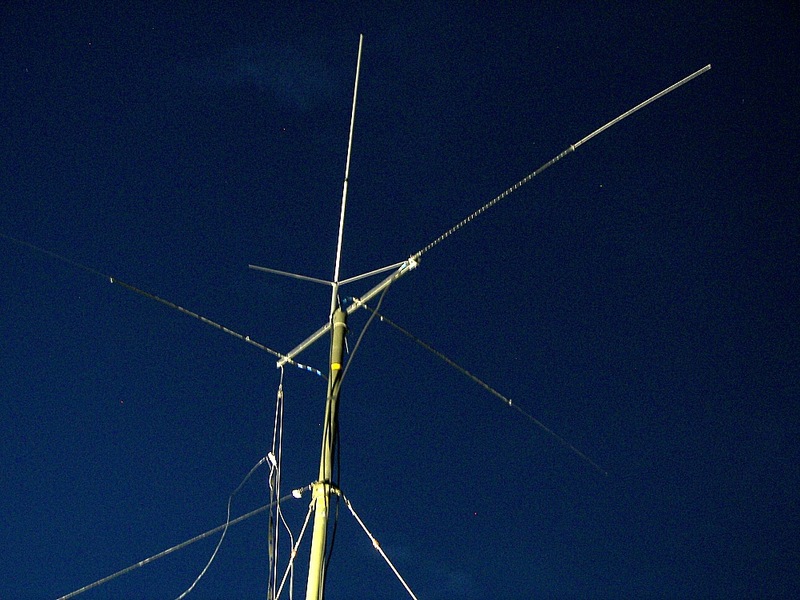 This is just an example of what can be done with a simple antenna and a common HF radio.